Principles by Ray Dalio was my business book for January 2019 (I’m reading one business book per month) and I absolutely LOVED it. Ray Dalio is referred to as the Steve Jobs of investing thanks to the innovations he’s made in the finance industry, but this book was about so much more than the numbers. Not only were there so many incredible business lessons in it, but Ray epitomises the growth mindset and his approach to love is one that’s focused around meaningful work and meaningful relationships at its core. And that’s something I truly admire (and aspire to). This episode is not a review of the book, but rather the lessons I learned from it. Imagine that we’re sitting down over a chai latte and you said – ‘Weren’t you reading that book by Ray Dalio? How was it?’. This episode is my answer. 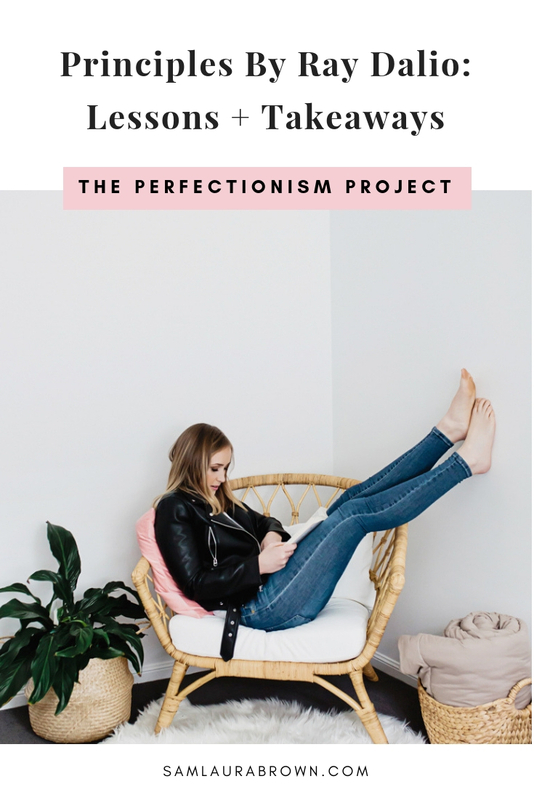 Listen to the episode on the player above, click here to download the episode and take it with you or listen anywhere you normally listen to podcasts – just find Episode 86 of The Perfectionism Project Podcast!